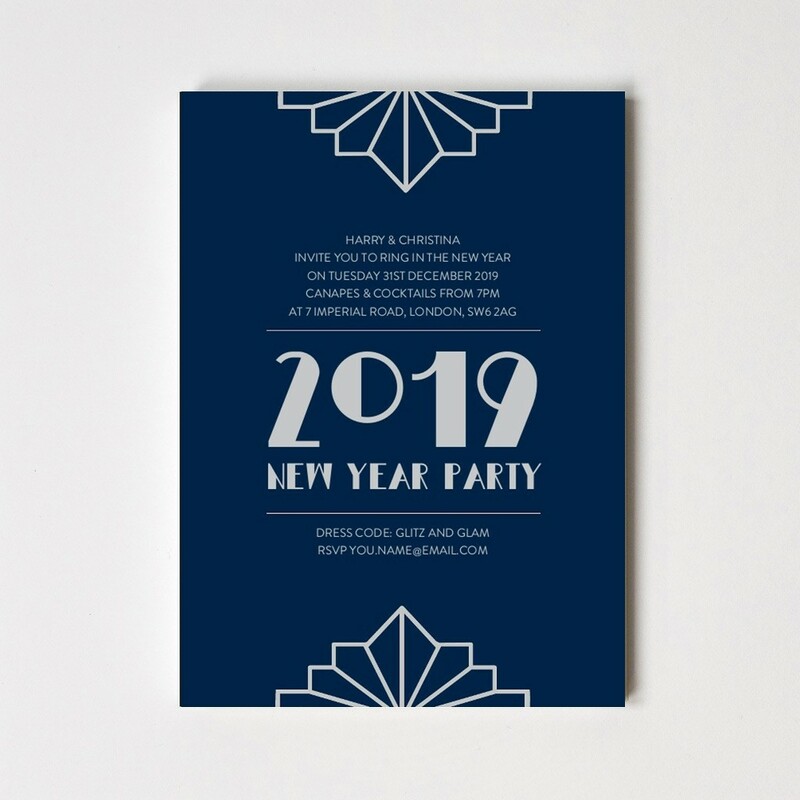 Gather family and friends to ring out the old and ring in the new with our beautiful Art Deco 2018 New Year Party Invitations. Printed on 400gsm or 700gsm paper stock and expertly produced using bold black and stunning gold lettering, our party invitations will set the right tone ahead of your celebration. Complete with White 160gsm envelopes, our Art Deco 2018 New Year Party Invitations measure 7" x 5".